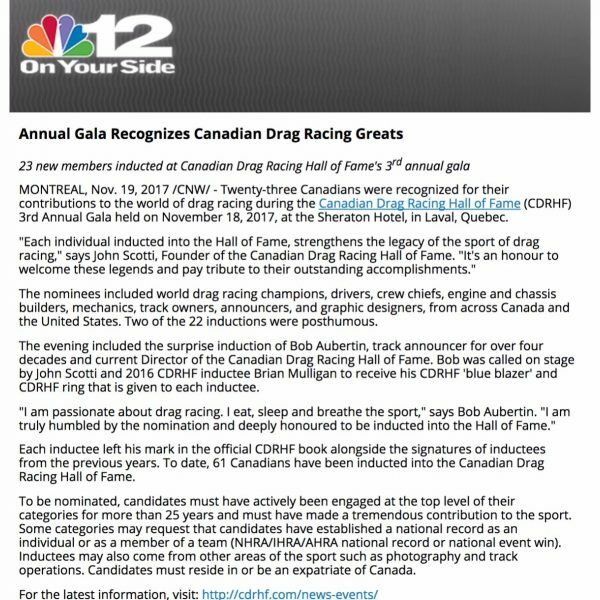 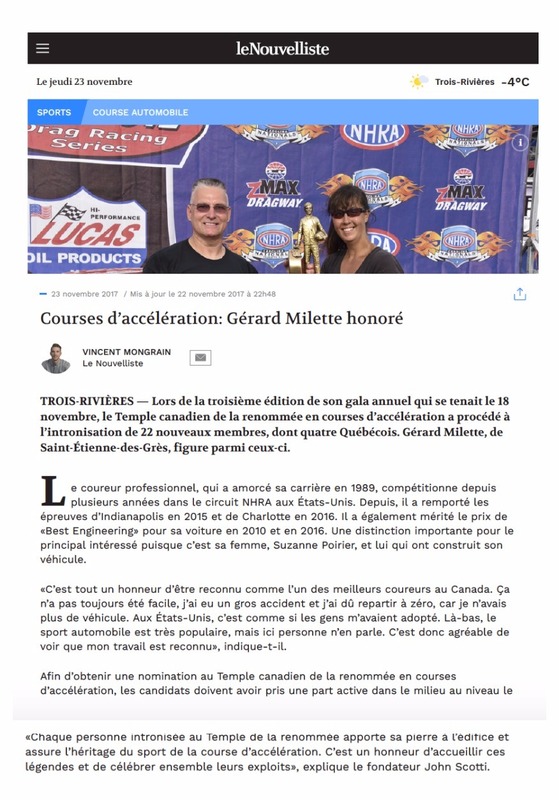 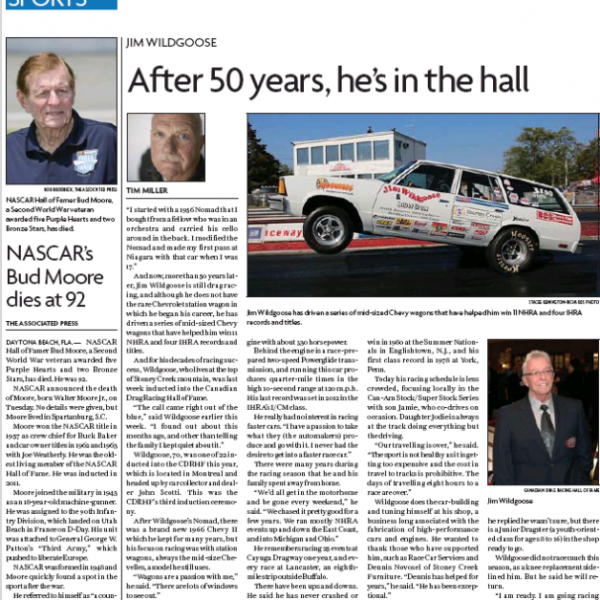 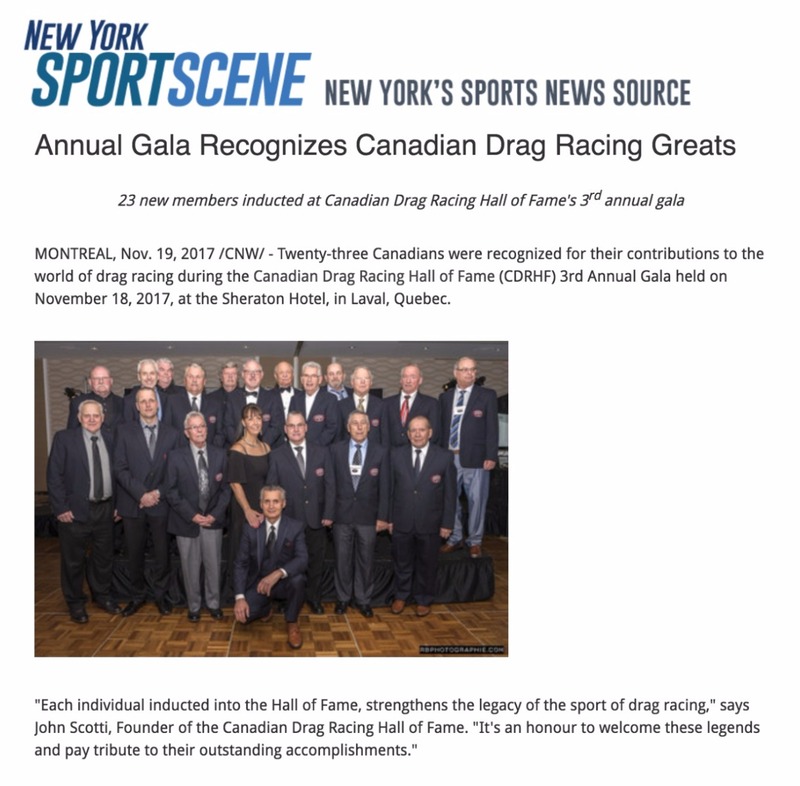 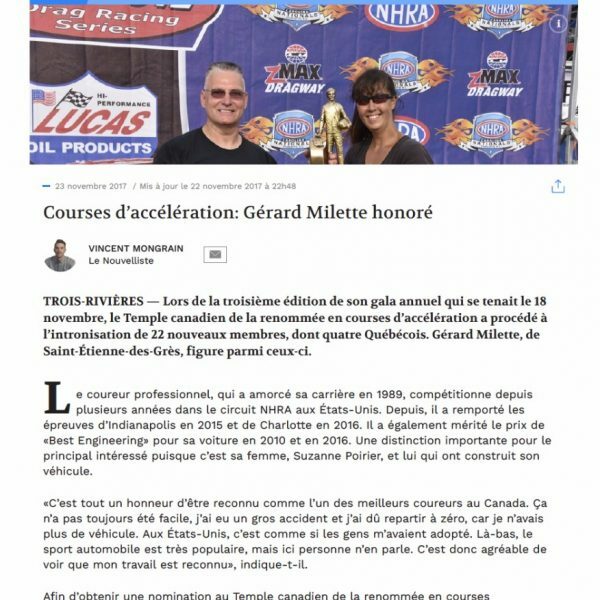 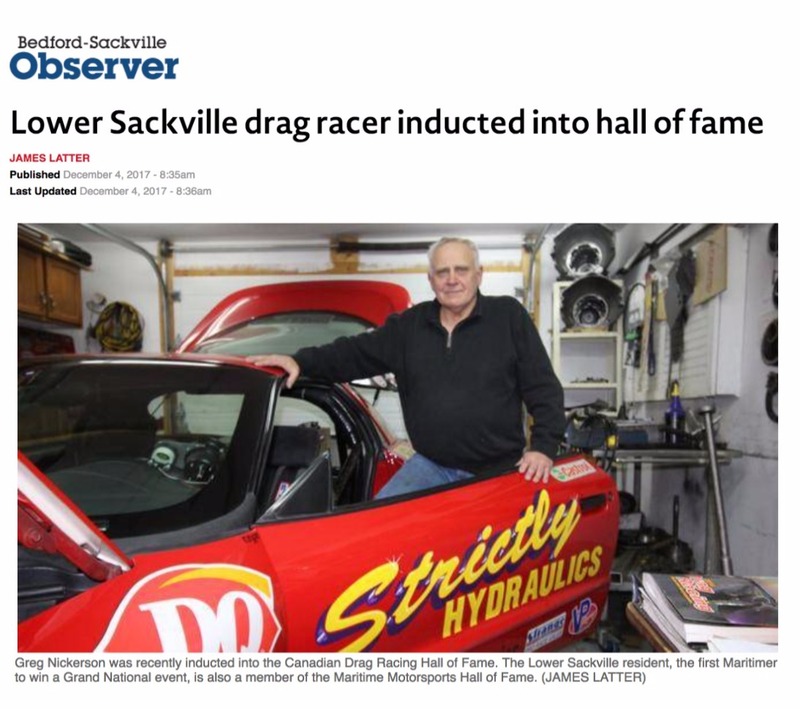 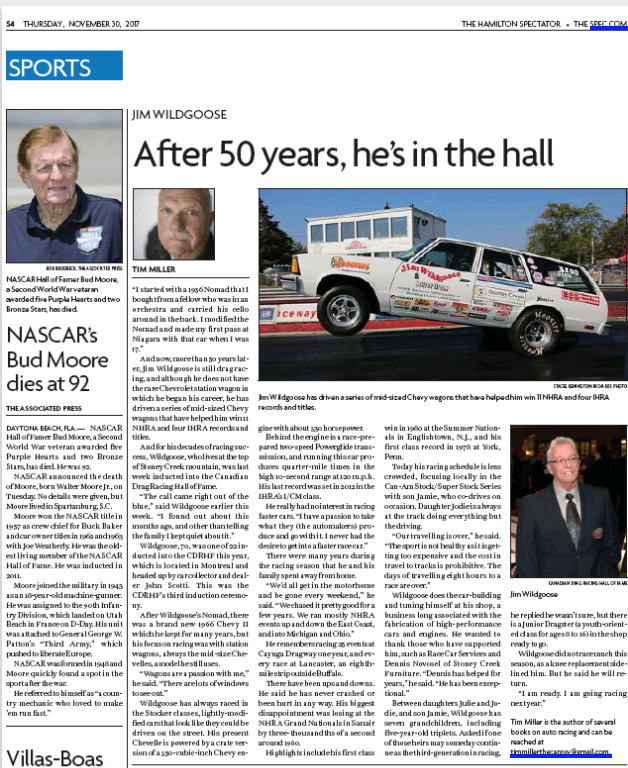 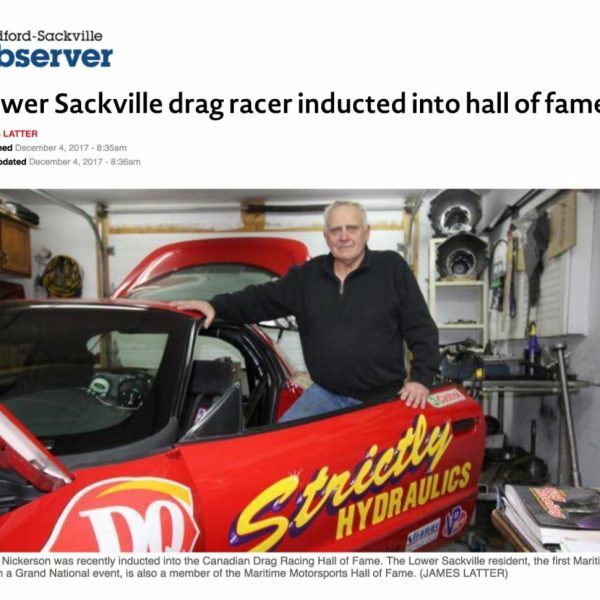 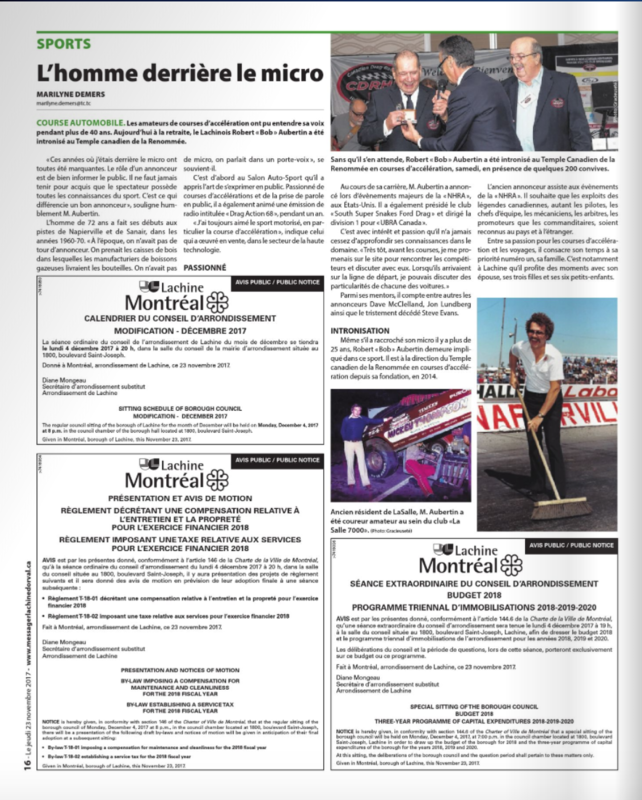 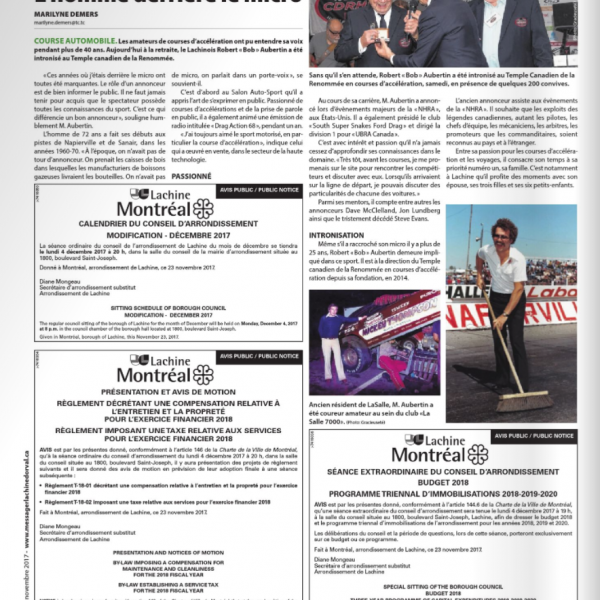 For a third year, we’ve conducted media relations for the Canadian Drag Racing Hall of Fame’s annual gala that recognizes Canadians who significantly contributed to the sport of drag racing. 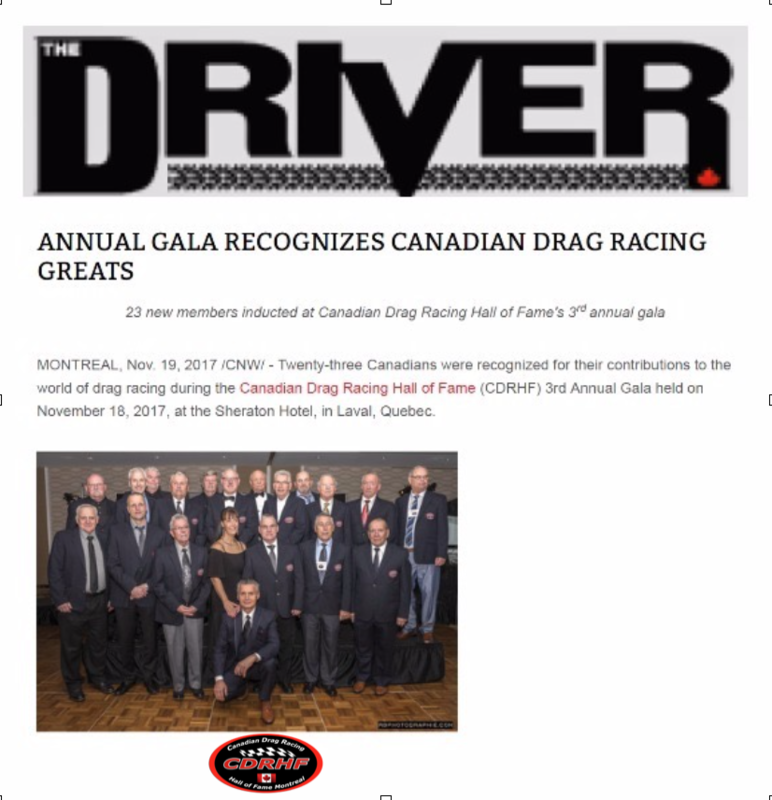 It is the only organization that recognizes drag racing professionals in Top Fuel, Funny Car, Pro-Stock and Sportsman categories. 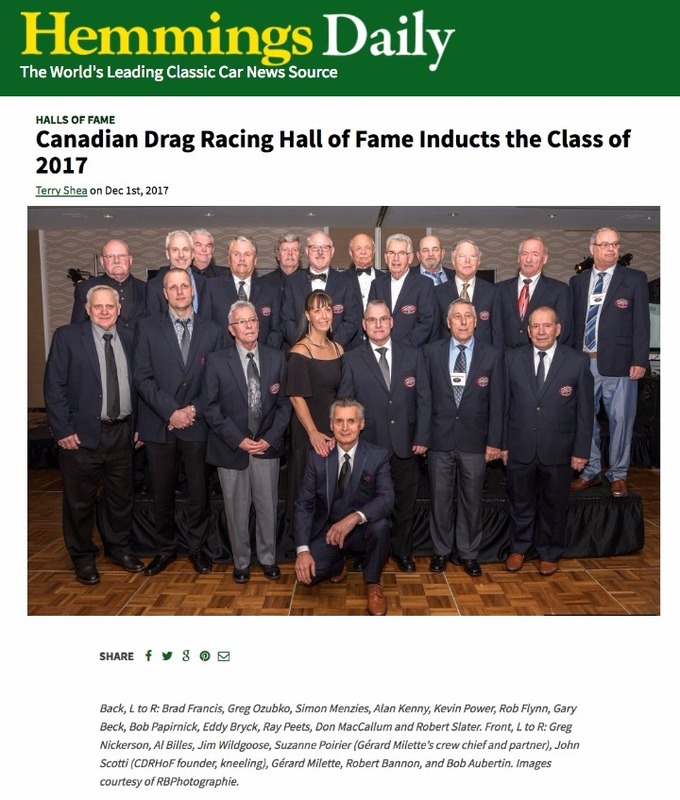 This year, twenty-two Canadians were inducted into the Hall of Fame. 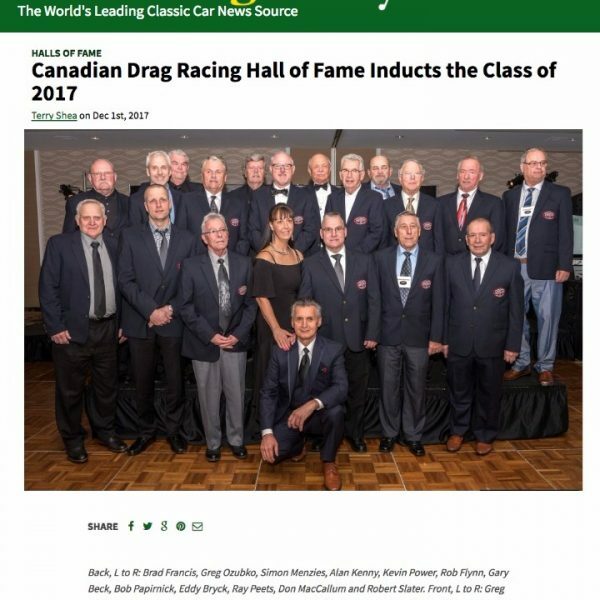 61 individuals have joined the Hall of Fame to date. 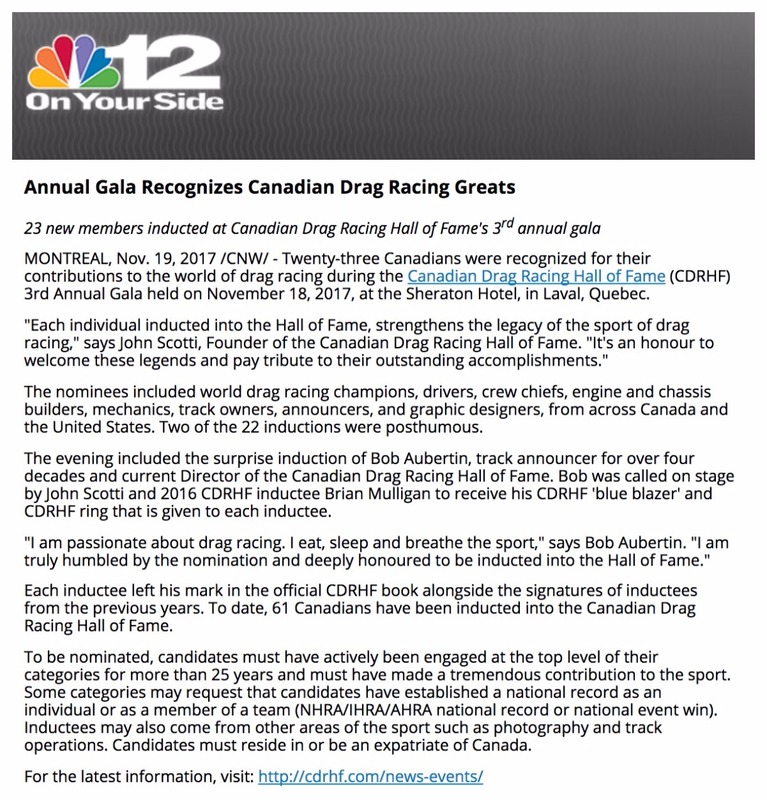 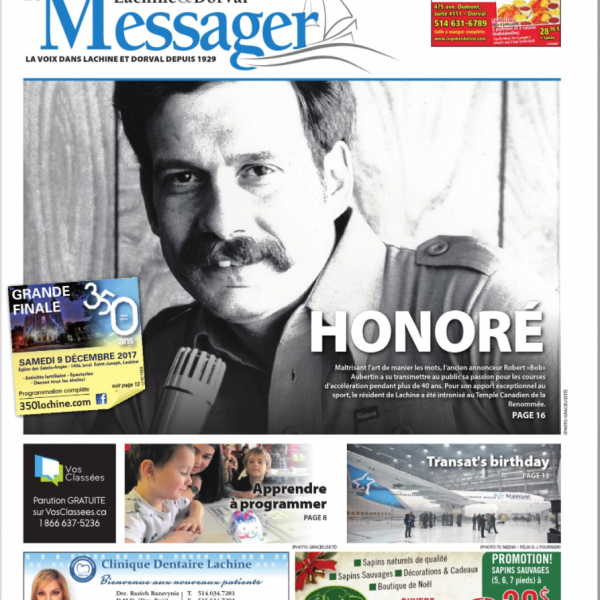 We secured a total of 285 media hits and over two dozen included interviews with inductees. 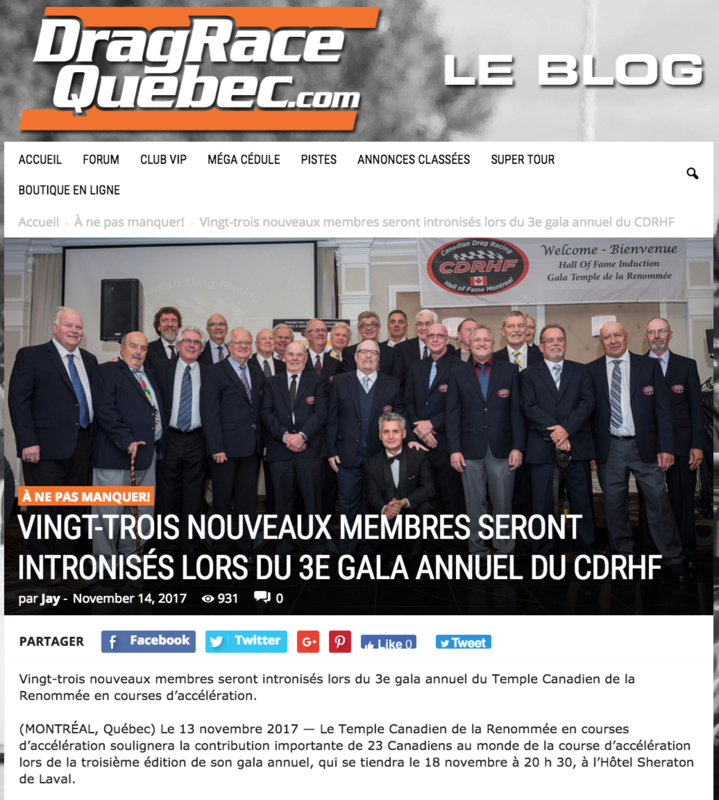 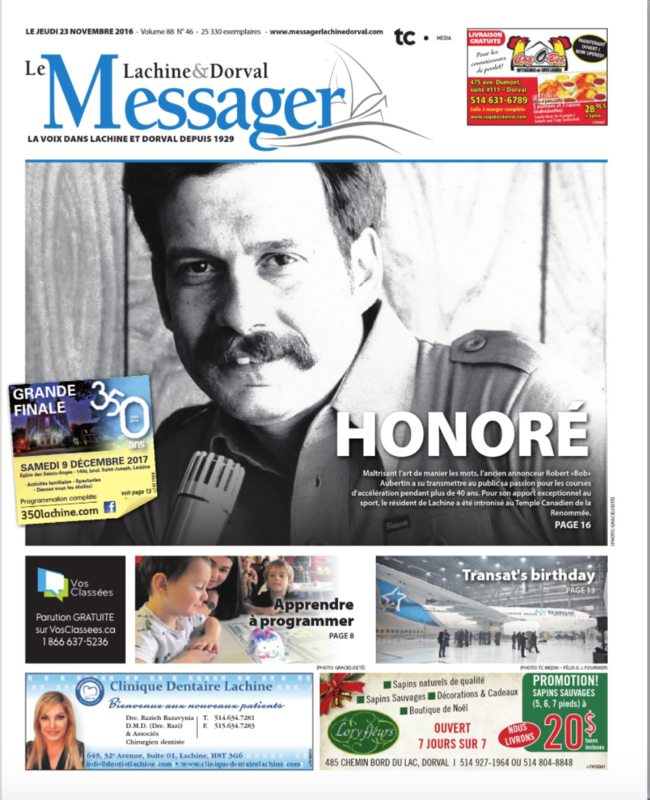 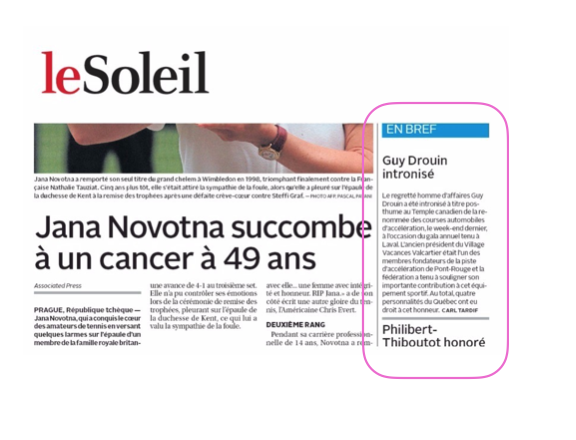 North American outlets like New York Sports Scene, Yahoo!, several NBC and Fox channels, Le Nouvelliste, Le Soleil, The Hamilton Spectator and Le messager Lachine-Dorval covered the announcement.